It's easy to see why many parents believe that finding the right summer camp for their child is a harrowing task. 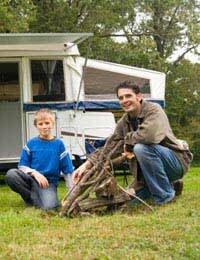 All children have different interests, personalities and schedules, and finding a camp that fits in with all three – not to mention your budget – can be irritatingly difficult. Summer camps can provide your child with lifelong enrichment, as well as help him or her make new friends and acquire new skills. So getting the right camp is important – and also can save you a lot of money in the long run if it were to go horribly pear-shaped! Summer camps can be either residential or day camps, multi-activity or specialised interest. There are academic camps which concentrate on reading, math and science; arts-based camps for children with an interest in drama, music and visual arts, and sports and fitness camps. Some camps are just for fun, while others seek to promote a particular philosophy, such as religion or healthy eating. Boot Camps are now the latest rage, helping kids to achieve a specific goal. Sometimes this centres around weightloss and fitness, at other times it concentrates on improving a child's behaviour. The day-to-day regime can be tough, but for some kids they're a lifesaver. The majority of parents, however, want a camp that will give their child a few fun-filled weeks in the summer, with the opportunity to meet new people and engage in activities they enjoy. If they develop better self-esteem or increased self-confidence after spending time at camp, that's a definite plus! Take your child's personality and interests into account, not yours. If your son isn't musical, it's no use sending him to music camp in hopes he'll magically turn into a concert pianist. He won't. Decide how long you want your child to attend camp. Take his age, your working needs and his interests into consideration. A sensitive child might prefer a day camp, more outgoing kids might like the excitement and relative independence of sleepaway camp. Look online, talk to other parents and decide on a few camps that suit your child – on paper. Then make a few calls and visits, and check references. Once you have narrowed it down to a few you and your child both like, talk to other parents. Often word-of-mouth will be your best recommendation for actual success once they are there. When you visit, make sure you check the camps' daily schedule to see what activities are on offer. If your child wants to attend a football camp, for example, will they be able to do other activities as well? If not, is that a good idea? Ask loads of questions before deciding on a camp, and check your finances. Also, learn about the camp's refund policy in case you – or your child – have a change of heart. Check to see the camp is fully accredited with the relevant bodies. Ask about the counsellor-camper ratio. This is especially important if your child is young. Learn about staff qualifications, training and background check. Find out about the camp's discipline policy. Check the camp's references, or speak to other parents who have sent their children there before. Summer camps help a child learn social and leadership skills, and can also help them get along better with their peers, improve their physical performance, develop spiritual awareness and learn about the environment. So take the time to find the right one for your child!